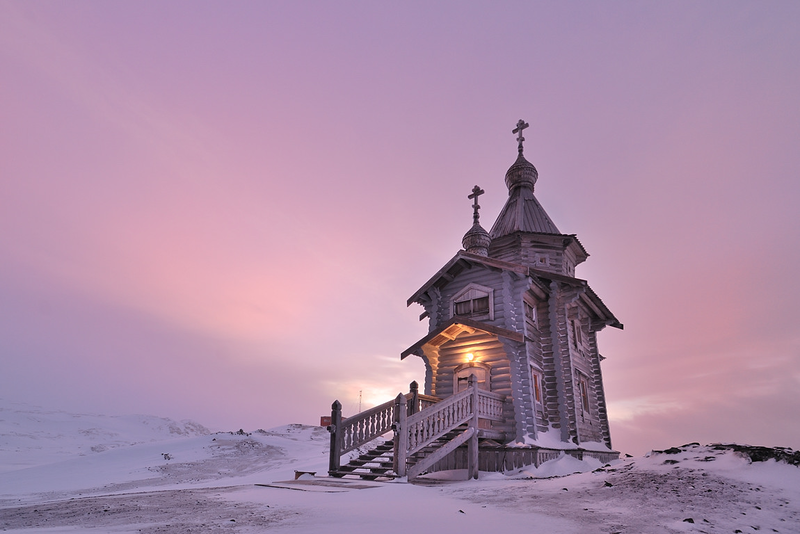 Trinity Church is a small Russian Orthodox church on King George Island near Russian Bellingshausen Station in Antarctica. It is the southernmost Eastern Orthodox church in the world and also is the evidence of great human architecture at the south pole. Built in 1990s, the church is a 15m-high wooden structure built in traditional Russian style. It can accommodate up to 30 worshipers at one time. The structure was built out of Siberian Pine by Altay carpenters, then dismantled, taken by truck to Kaliningrad and shipped to King George Island by the Russian supply ship. Below is the spectacular view of the said southernmost church in the world.